Better than the world-champion! Sergei Karjakin for the 2nd time wins "Norway Chess" thanks to three wins in a row in the final rounds. Karjakin comments on his win over Kramnik. Other annotations have been contributed by Ftacnik, Krasenkow, Marin, Negi, Roiz, Stohl, Sumets and Szabo. In addition there are an openings survey by Mihail Marin + „Game of the day“-videos by Daniel King. Capablanca Memorial: The game Almasi-So in the 5th round was a decisive one. His victory with Black brought the Wesley So into the lead and from then on it could not be prised out of his hands. The tournament winner has annotated that theoretically important game. 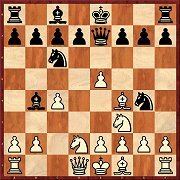 13 new opening articles with lots of new ideas for your repertoire: Viktor Moskalenko reveals more secrets of a "secondary opening" (Budapest Gambit: 1.d4 Nf6 2.c4 e5 3.dxe5 Ng4 4.Bf4 g5), Tibor Havasi presents a setup against the Caro-Kann (with 2.Nf3 and 3.Nf3), Dejan Antic shows the ideas in the "Adams-Variation" against the Sicilian (2.Nf3 e6 3.g3) and many more! 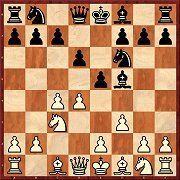 If White wants to go for a sharp position against the Nimzo-Indian the move 4.f3 is always shortlisted. In this article IGM Evgeny Postny examines the many positions that may show up on the board after 4.f3 c5 5.d5 0-0 6.e4 d6. 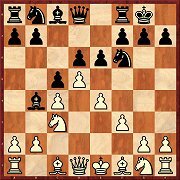 Here 7.Nge2 is preferred by most experts, in particular Sergey Volkov, who is represented in the Mega database with countless 4.f3 games, plays this (till 2003 he still used 7.Bd2). Postny now considers four moves for Black: 7...Nh5, 7.exd5, 7...Re8, and 7...b5. writes, engines sometimes overrae Black’s prospects." Hannes Langrock used to be a convinced adherent of the English Defence, but he has now changed sides. In his article he presents a repertoire from the point of view of White. 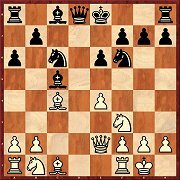 According to Langrock’s analyses Black is faced with a difficult task after 4.Bd3!. This variation is considered slightly better for White, but Viktor Moskalenko is of a different opinion. White may usually obtain the bishop pair, but Black has a sound position in which the pawns are placed on dark squares and appropriately he possesses the light-squared bishop. Somewhat surprisingly it is not quite so simple for White to manage a slight advantage for White after 3...Bf5. 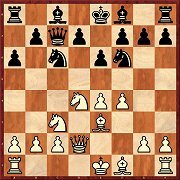 The most frequently seen move is 4.f3, but, as Arkadij Rotstein shows, Black obtains a satisfactory game after 4...e5. In the second part of his repertoire against the old main variation (4...Bg4) Tibor Karolyi deals with the sub-variation 5...e6. 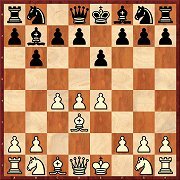 White obtains a secure advantage in all lines and in our author’s opinion should above all avoid the move h3. This was played by Bobby Fischer, but Tibor Havasi is able to squeeze a few new subtleties out of the subject. But above all, the setup presented by the young Hungarian is extremely easy to learn and nonetheless not without its venom. Michael Adams has played this several times with a good measure of success. So Dejan Antic calls it the Adams Variation. 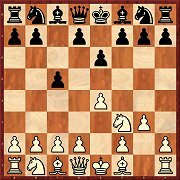 White firstly does without d3 and if need be he protects e4 with Qe2. Of course this is no way to force an advantage, but it does immediately set Black a few problems. 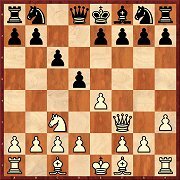 White has for a long time been successful with 8.0-0-0, but countermeasures have been found for Black. At present it is still possible to surprise one’s opponent with 8.f4. But according to Krisztian Szabo Black should not have any great problems keeping things on a level keel. 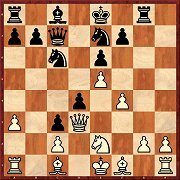 Spurred on by the game Almasi-So (Capablanca Memorial 2014) Igor Stohl examines the modern variation with 12...d4. The results are absolutely heartening for Black and for the moment it is rather White who has to be thinking about improvements. 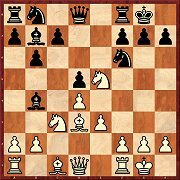 In the second part of his investigations into 6.Qe2 Michal Krasenkow comes to the critical variation with 8...Nc6. 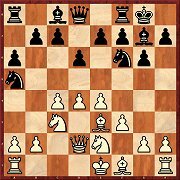 In it Black has good chances for equality but he needs to know his theory well and must also play accurately in the early middlegame. Andrey Sumets analyses the variations from White’s point of view. From the diagram the first move examined is 7...d5. 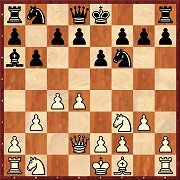 But then one needs to have a good knowledge of the sharp 8.Nc3 d5 9.e4. Magnus Carlsen sees himself having to meet the move 4.f3 “all the time”. 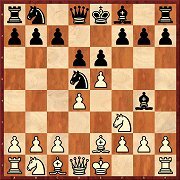 At the Gashimov Memorial he played 4...c5, resulting in the position in the diagram. Evgeny Postny considers Nakamura’s 7.Bd2 to be simply a side variation with the critical line being 7.Nge2. This natural setup for Black is still valid. 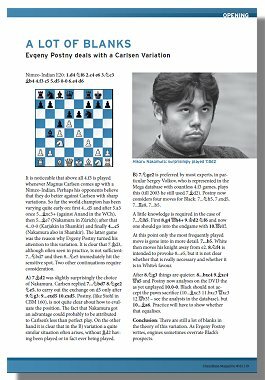 Mihail Marin tries in his extensive article to show that White has at least the more pleasant game. And he manages to do just that. The almost new 8...Na5 attacks a sensitive point in White’s camp – the pawn c4 – and at the same time it prepares ...b5, because if White captured twice the final move would be Na5-b3! So far White has not found a good countermeasure – a hard blow for fans of the Sämisch Variation.